Married singer Baek Ji-Young on June 2, 2013. Wedding ceremony took place at the Sheraton Grande Walkerhill Hotel in Gwangjin-gu, Seoul, South Korea. Natnay Jan 06 2015 1:37 pm He's so cute and funny in Rooftop Prince! tp Nov 09 2014 9:52 am You're quite good looking, tall and a good actor. I saw you in almost all of the dramas I've watched so far, but why couldn't you be a main protagonist so far? That's not FAIR! nana Apr 05 2014 12:27 pm isn't he in Three Days too? as Lee Chul Kyu, former North Korea mayor ?? me Mar 27 2013 7:20 am omg... he is really handsome and perfect in midas.... like! labeaute Nov 05 2012 11:55 pm First watch him on lovers in haeundae, then I'm watching rooftop prince, and he's so cute with his silly act so contrasts with his body. 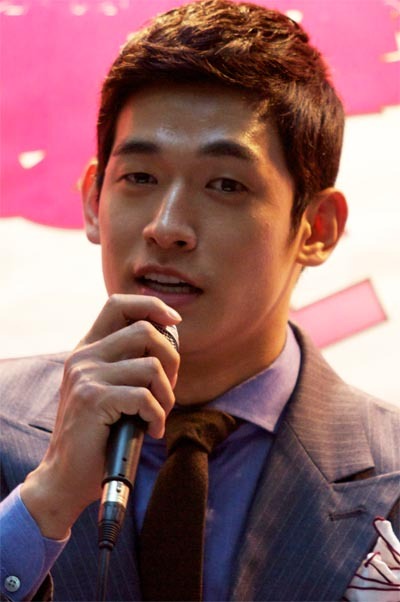 :D one of my fav actor ^,^ keep your acting up, oppa!